LOS ANGELES – It felt like a slam-dunk contest inside Staples Center on Friday as perennial All-Stars Blake Griffin and LeBron James traded sensational slams all night. 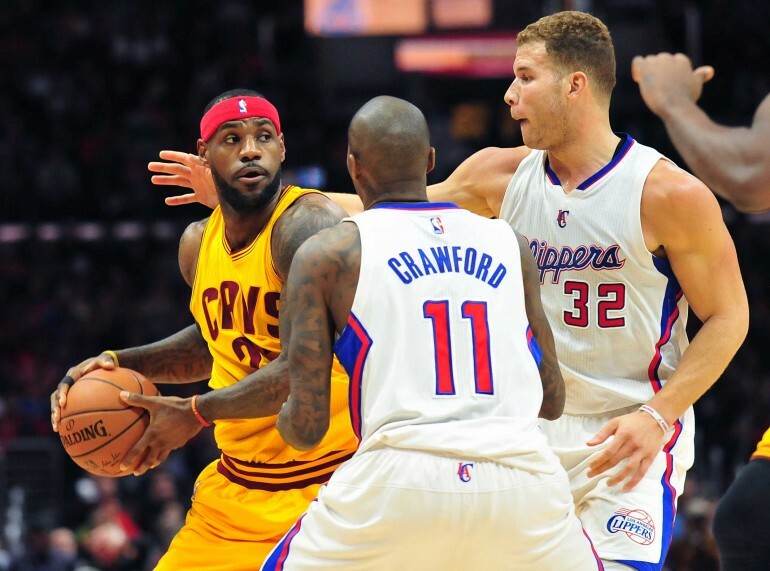 It was a playoff-like atmosphere in the waning minutes as Cleveland held on to beat the Clippers 126-121. James scored 32 points and point guard Kyrie Irving added 37 as the Cavaliers led by just two points with 0:09 seconds left to play before Cavs guard Matthew Dellavedova hit two clutch free throws to put the nail in the Clippers coffin. Tristan Thompson had a double-double with a season-high 24 points and 12 rebounds and the Cavs have now won back-to-back games after a six-game losing streak. Thompson started in place of Kevin Love who watched from the bench as the Cavaliers swept both L.A. teams for the first time since 2009. Blake Griffin had 34 points and 19 rebounds in a losing effort for Los Angeles and Chris Paul contributed with 15 points and 14 assists. Once again the Clippers had all five starters in double figures and Jamal Crawford scored 13 points off the bench to make it six. Despite the well-balanced attack, the Clippers couldn’t stop LeBron and Irving down the stretch. James and Irving single-handedly swayed the game to the Cavaliers after they scored every point of a 20-7 run midway through the 4th quarter. James and Irving hit bookend three-pointers to ignite the run that saw James score nine points and Irving score eleven. The Clippers came back with a 6-0 run of their own as Griffin went head-to-head with LeBron in the post. The effort was not enough as Paul missed a three in the final seconds and James hit a free throw to put the win on ice. The game marked a historical moment in NBA history as Austin Rivers made his Clippers debut after being traded from New Orleans to Boston and Boston to Los Angeles. Rivers is the son of Clippers general manager and head coach Doc Rivers, making it the first time in NBA history a father has coached his son on the NBA level. The stars came out on and off the court for the game as Jay Z, Beyonce, Will.I.Am., Floyd Mayweather Jr., and Odell Beckham Jr., were all spotted courtside catching the game. Kevin Love was seen on the court before the game during shoot around, but once the game started was in street clothes on the bench. Cavaliers’ coach, David Blatt, before the game said Love was experiencing some soreness in his back and would miss the game. LeBron James became the youngest player to score 24,000 points in NBA history. Chris Paul reached the 6,500 assists mark in the game, the second fastest in NBA history to reach that feat behind John Stockton. Jordan Farmar was waived by the Clippers before the game.